Need to file GST Returns ? We will manage all your GST compliance needs including advisory, returns and communication with GSTN. 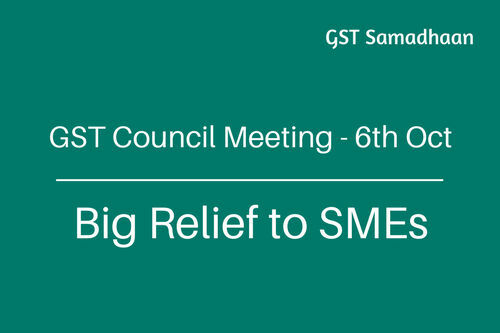 With us you can stop worrying about GST and just focus on growing your business. Our pricing is honest and affordable. There are no hidden charges. To make the deal sweeter we offer 100% refund if you are not fully satisfied. Our domain experts keep track of GST laws, cases and developments and our pan-India presence enables us provide the most suitable advice as per best practices. Our business partners are demanding GST number even though our business is below exemption threshold. Exemption upto 20 lakhs depends on a number of conditions which may not be fulfilled by your business. Please schedule a consultation for detailed analysis of your requirements. According to the model GST law, refund claims under the GST regime will also be processed on merit basis, i.e on the GST compliance rating of the registered taxpayer. 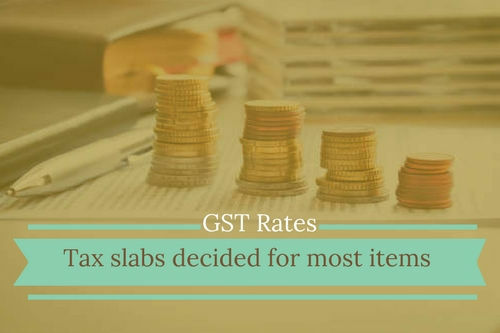 It is expected that certain slabs rates will be maintained for various taxpayers falling under various bandwidths of compliance rating and the refunds will be made in terms of percentage amount based on the individual rating of the taxpayer. Lets take an example to understand this further. 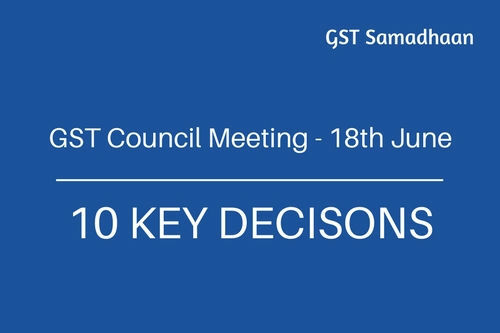 Let’s assume that GST rating will be done on a scale of 1-10, wherein someone rated at 1 is least compliant and a rating of 10 depicts excellent compliance. Now it has been proposed that refunds to a taxpayer will be made in percentage on the basis of these ratings. For example, someone maintaining a rating of 10 will receive 100% of the refund immediately. But another entity having a rating of 8 might get only 80% of his refund claim. Is GST applicable to my business? 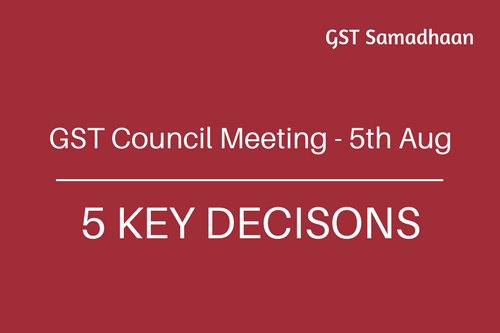 How can GST Samadhaan help us? We can manage all your GST compliance needs such as registrations, returns, book-keeping and advisory on GST. Our services offer convenience at an affordable price . Do I need PAN to Apply for GST? What are various returns required to be filed under GST? A regular dealer will be required to furnish returns monthly and one annual return. 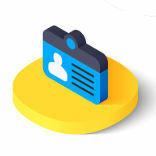 Similarly, there are separate returns for a taxpayer registered under the composition scheme, taxpayer registered as an Input Service Distributor, a person liable to deduct or collect the tax (TDS/TCS). Refer Returns schedule on this pagefor details of all the returns which are required to be filed under the GST Law. The Empowered Committee has recommended that the following Central Taxes should be, to begin with, subsumed under the Goods and Services Tax: - Central Excise Duty - Additional Excise Duties - The Excise Duty levied under the Medicinal and Toiletries Preparation Act - Service Tax - Additional Customs Duty, commonly known as Countervailing Duty (CVD) - Special Additional Duty of Customs - 4% (SAD) - Surcharges, and - Cesses. The following State taxes and levies would be, to begin with, subsumed under GST: - VAT / Sales tax - Entertainment tax (unless it is levied by the local bodies). - Luxury tax - Taxes on lottery, betting and gambling. - State Cesses and Surcharges in so far as they relate to supply of goods and services. - Entry tax not in lieu of Octroi. 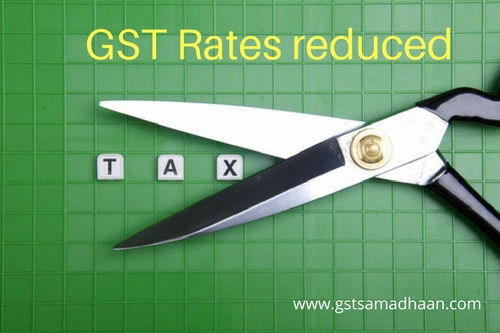 How is GST Samadhaan better than my local agent? Tax advisory and services market has been almost completely unorganized due to myriad of taxes, rules, and procedures. One Nation- One Tax philosophy behind GST will eliminate dependency on local factors. We have PAN India clientele and team of specialists which have expertise in their respective domains. 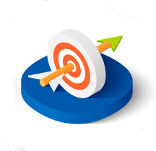 This enables us to provide most relevant advice in various situations. Also we are able to leverage technology and economies of scale to achieve efficiency to offer very competitive prices for our services.